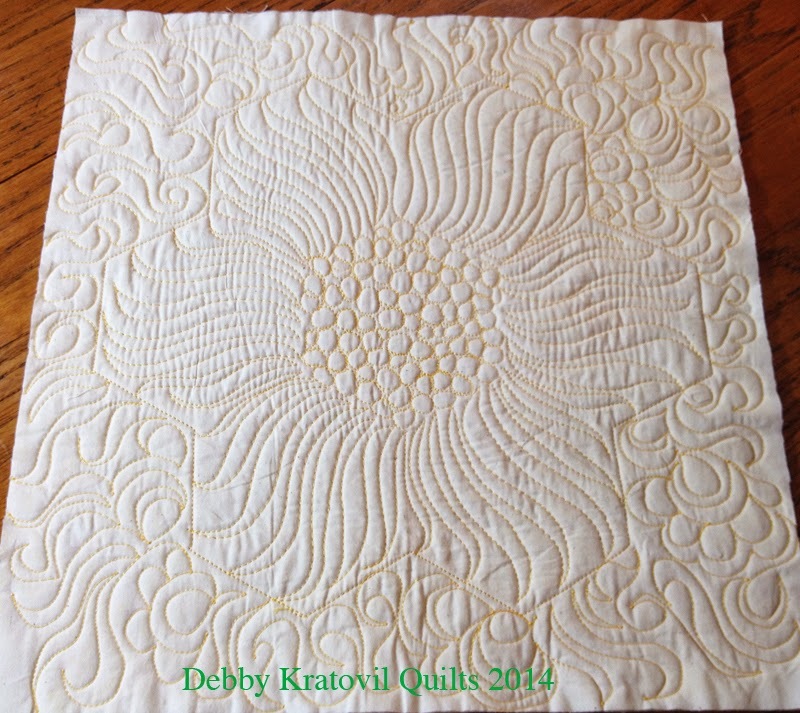 I've been very busy getting ready for the Quilting Live! Show in Atlanta September 11-14. 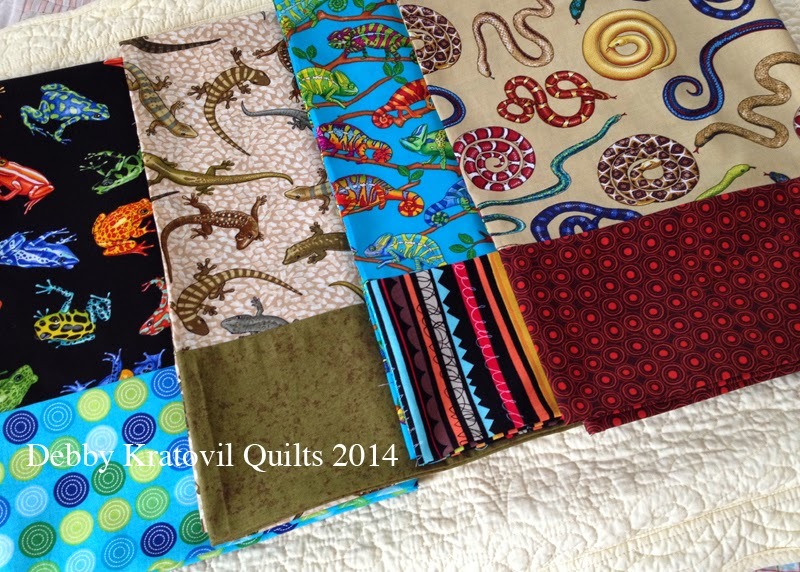 I will be teaching 4 classes, one of which is free motion quilting. I played around with a sample that I started last year. I drew this Grandmother's Flower Garden using an orange Crayola marker (washable, of course). It sat for a year on the fabric! I quilted using the lines to tell me where to start and stop. Then I prayed a little prayer, submerged it in the bathroom sink in cold water and LOOK! No orange marker! Here is another view. This second picture is turned so that there are two hexagons at the top (notice the "v"). A very different look, huh? 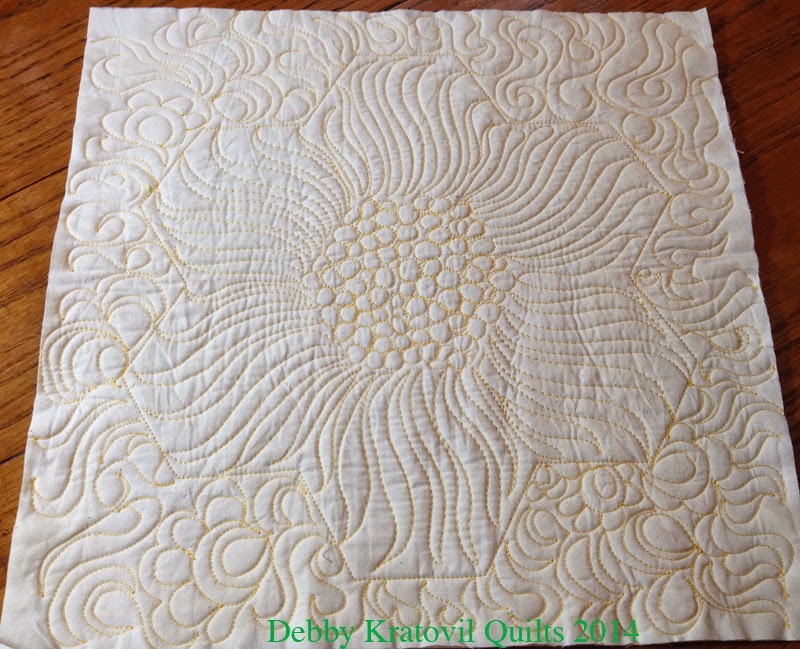 I have been very inspired by Geta Grama in Romania who does gorgeous work with hexies and free motion quilting. She said that her sewing machine has a 10-1/4" opening. Mine is small, just like most domestics, with about a 7" opening. Hope you enjoyed seeing my little sample. Come back on Tuesday for my special announcement about my Star Spangled Banner week long Celebration. 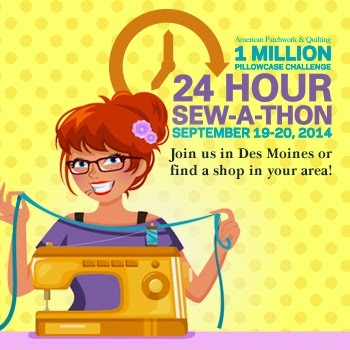 I have 7 days worth of fabric giveaways, books, free patterns, lots of quilts to inspire you and a special guest who loves both quilts and American history! 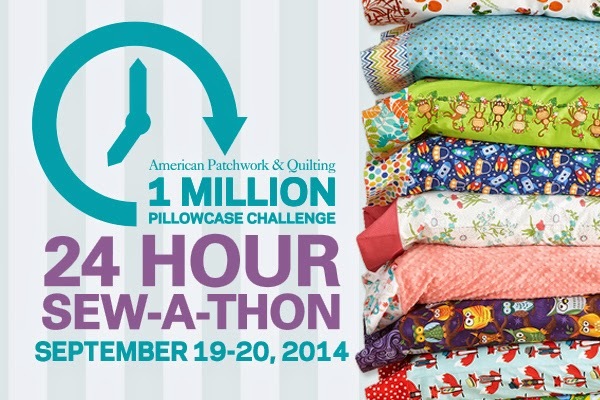 American Patchwork and Quilting (APQ) continues to work toward their goal of providing 1,000,000 (yes, that's ONE MILLION) pillowcases for charity. I've partnered with them with the generous assistance of Benartex Fabrics to make some of these. Yes, you can join in on the fun! 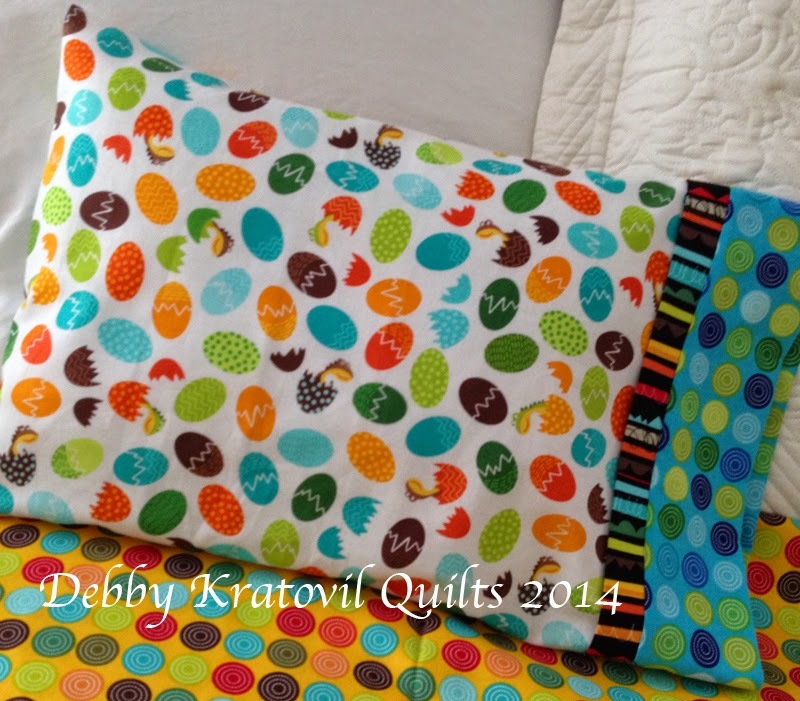 First, I selected one of their 43 FREE pillowcase patterns from their web site. I selected the one that is similar to the one I've used for the past 10+ years. You can see my blog post tutorial here (Pillowcase Tutorial) for when I made some smaller pillowcases for my grandsons. If you scroll down on that page you will see how I rolled up the main fabric to fit into the hem for a NO EXPOSED SEAM finish. Really awesome. Here is the link at the APQ site for the free pattern I used for today's tutorial: Roll it Up (scroll down for the pattern and a video). Now, those of you who know me and my fervor for making pillowcases for my two little grandsons, know that my daughter Hilary has sternly advised me NO MORE PILLOWCASES. Well, what can I say? If I make enough she never has to do laundry (her most detested chore)! So, I've made several for this blog hop. I guess I got carried away! 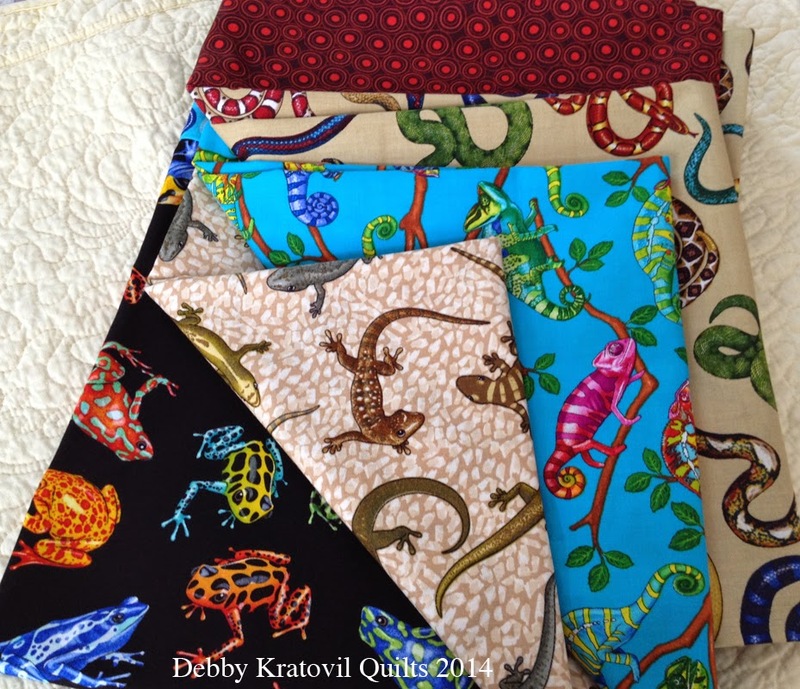 Frogs, Lizards, Iguanas and - yikes! - Snakes! Tropical Rainforest is a gorgeous collection that is perfect for anyone who's not afraid of slithery creatures. Believe me, as the mother of 3 daughters, I NEVER would have thought of using these for my little girls (who are very grown now). But I can see that my grandsons would LOVE THESE. My husband made me remove a frog from our hotel room when we were in Cuba! Frogs I can handle; snakes, you got to be kidding! Now for the girls. I made 5 pillowcases for them . . . 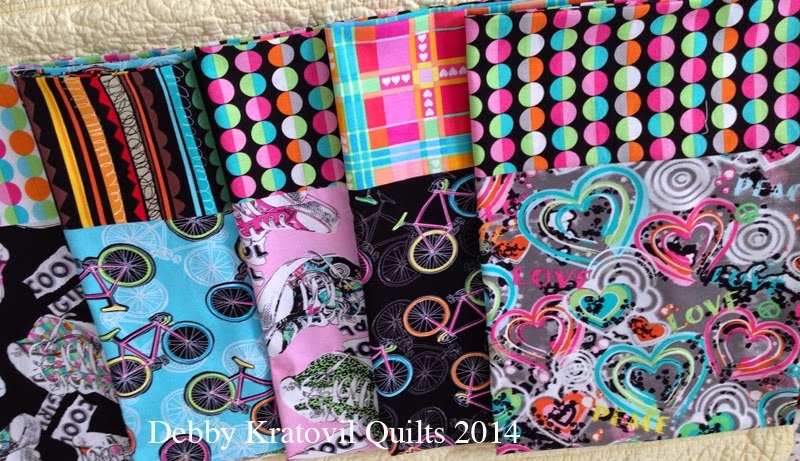 I used the Cool Girl Collection by Benartex Fabrics and sewed every last piece I was given. I especially love those sneakers, don't you? Pink is my absolute favorite color. I dream of finding pink sneakers one day . . . Many thanks to Benartex for generously supplying me with all this fabric. 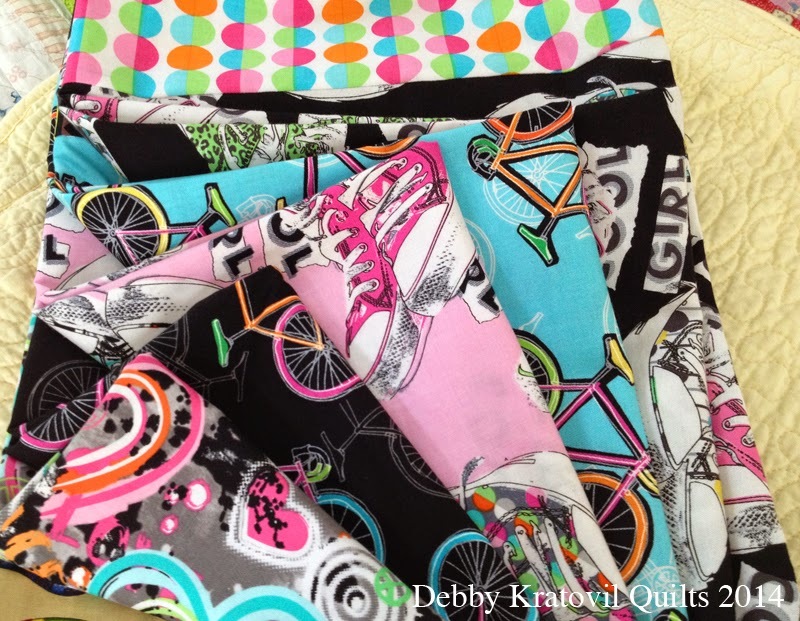 You can read more about how you can be involved and sew some pillowcases. Mine will be donated to The Alternative House through my local quilt shop (The Quilt Patch) which collects them and distributes quilts, fleece throws and other items like this. Make them local; give them local is my mantra! And here are more bloggers with their pillowcase offerings. Go visit and see what they made!